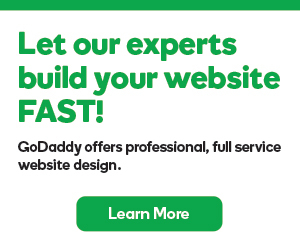 Hyperlinks can make your site more user friendly. This video and the instructions below it explain how to turn text on your website into 3 different types of links. 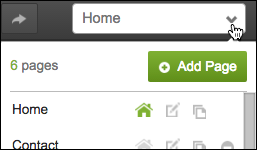 You can add links to your text to open a Web page or fill in the “To:” field in a new email. Click the page menu to choose a page that has text you want linked. Double-click inside the text box containing the text you want linked. In the Link window, click the Destination menu to select a page within your site, or type an external web address in the Link (URL) field. 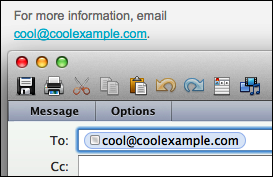 Note: To link text to an email address, enter the email address in the Link (URL) field using this format: mailto:cool@coolexample.com. (The field will remain pink until you type in the entire URL.) When customers click the link on your site, their default email program opens a blank email to that address. Select Open link in new window if you don't want the viewer's Web browser to close your site. Click Insert to apply the link and close the Link box. How do I add links to the description text below the images in my "gallery"? Can't add text links in GoCentral. Why do I want to pay for this service?